Off the Beaten Path: I Miss the Sun…. 1) I know this post is supposed to be about all things non-running, but it’s been a slow week and this is exciting news for me. In November 2011, about three weeks after I finished my first marathon, I decided that I would run the 2011 Annapolis Running Classic Half-Marathon. Back then, I felt sort of disappointed that I had nothing more to prove when I signed up for it. I was officially a marathoner; end of story. Bucket list was one item shorter. I have no idea why I didn’t think I couldn’t keep running races, but when a friend of mine suggested that we run the Annapolis Half-Marathon, I thought, Okay, why not. Obviously, I’m glad I ran it because that was when I realized I just found my “thing.” You know, that third thing that makes someone who they are besides their trade and association. This race made me say, Why stop there? So, for that reason, it’s even more special to me that, four years and 11 half-marathons later, I’ve been chosen to be a member of the 2015 Annapolis Running Classic A-Team as an ambassador. I’m thrilled for this opportunity to be on this team with some truly talented runners— and I say that with emphasis because, weirdly, I “know” some of them through their social media accounts. Plus, this race is easily the quintessential East Coast fall half-marathon. Late November in Annapolis, imagine the sun coming up and turning the brick downtown golden, running along the water with that crisp, cool wind coming off the Chesapeake Bay (at your back, of course!) and there’s oysters and beer waiting for you at a super fun post-race festival. As a Nebraskan who has never really had access to oysters like I do on the East Coast, this is thrilling information. This year, the race is taking place on Saturday, November 21, 2015, and if you don’t want to run the half-marathon option, they’ve added a 10K since I last ran! I am pumped, telling you, pumped to be part of this. Follow my social media accounts and the hashtag #NapRunATeam for some race updates in the coming weeks and months! Annapolis, here I come! 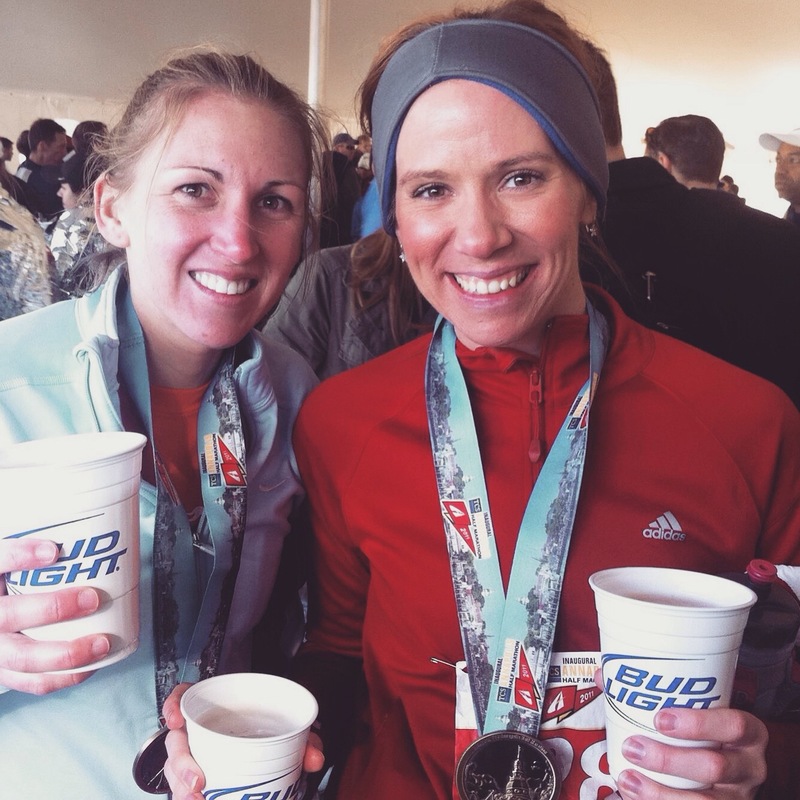 Why: Because beer and oysters and a beautiful race course! 2) Weather-wise, June has not been off to a great start. On Sunday, the last day of May, I spent about 4 hours baking in the sun in 95-degree weather at my apartment complex’s pool. Even though I reapplied sunscreen during the course of my sun bath, I still got some color in a few places that have since mellowed into a nice tan. I did get a pretty significant amount of red in the middle of my back where I can’t reach, even with my system of applying sunscreen on the front of my hand and using it in a windshield-wiper manner (#SingleGirlProblems). That’s going to hurt, I thought as I faced a week of wincing during my showers or tossing in bed and peeling. When I looked this morning, the red spot was pretty much all gone, leaving a light color brown in its place. I know it’s only because I haven’t been to the pool for days and instead have been wearing a jacket, sweater, and carrying an umbrella since Monday. The temparature in our nation’s capital was in the 50’s on Wednesday morning. That’s a 40-degree difference. As of Friday, I haven’t seen the sun in FIVE DAYS. Get it together, June. Not only because my color is fading but because it’s 18 days until summer and instead, it feels like we need to start buying school supplies. 3) One of the things I have noticed about growing older is that I’m having to live my life one day at a time. A year ago, on Wednesday, something happened that was a game-changer. It came in the aftermath of another couple of game-changers, and I wasn’t on sturdy ground yet when the fragile house I’d been rebuilding crashed to the ground again. To perpetuate the analogy, I learned from that and I knew how to rebuild faster. But even a year later, I’m still a little shaken up by what happened. I had to make choices and decisions that, well, really weren’t choices. It forced a course-correction on me, and I’m still fighting it. Not because I can’t accept what happened– to be honest, it was a huge, huge, huge relief, and I’m generally happy with how things turned out. But because I still haven’t convinced myself that I am moving in the direction of where I want to go. I had to stop moving confidently in the direction of my dreams; instead, I had to stop for awhile to catch my breath. And I’m still doing that a year later. If I look at the big picture, I get overwhelmed. I get scared into paralysis that my passions are wasted love. I don’t know what to do first. Instead, I have to look at what is on my plate right now. It’s all I can do today. That and be grateful for where I am. I don’t think I can get where I want to go without being here right now. 4) I’m happy to announce that my quest for cute, casual summer dresses has ended. Check out this adorable dress from the Banana Republic Factory online store. I bought it over Memorial Day weekend, just tried it on, and fell instantly in love. Can’t wait to wear it over the July 4th holiday! 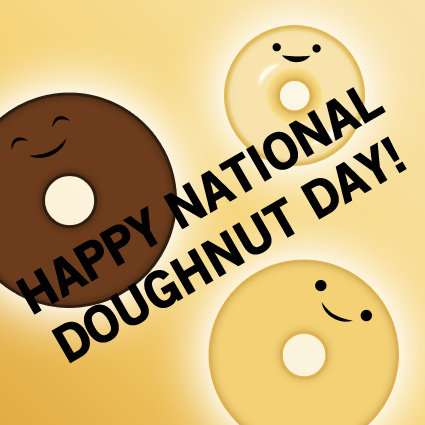 5) It’s National Doughnut Day the day before I am running the Baltimore 10-Miler. Coincidence? In other food news, I also tried maple water for the first time this week. I saw it at Trader Joes and thought, Why not? I like maple syrup! Coconut water and I have been friends! I was a tad nervous about it at first. The taste is not like anything I’ve ever had. It’s like suuuuuuper watered down maple syrup or even more watered down whiskey without the sting. You could probably get the same taste with some ice water and a drop of maple extract. I’ll definitely buy it again, though. It was a great way to refresh when I was thirsty.